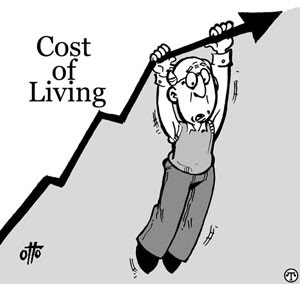 2) Where Do You Get Cost-Of-Living Info? 4) EVEN MORE EASY ENGLISH PSALMS! www.lam.org/news/latlinks.html. They give you options! Look for the “treeless” edition on the right side and click through. They are talking about charging for it, and indeed did for a while, but seem to be back to offering it for free. 2) FINISHERS FORUM — A Finishers Forum will be held Friday night and Saturday till 5PM, February 15-16, 2002 in Indianapolis. This is an “Urbana”-like event to assist people in finding a significant second-career joining God in His passion for the nations. Adults of all ages are invited. It will make most sense for people who have had a career and raised or almost raised a family and are looking for more now or a few years in the future. The Finishers Project is a partnership of over 70 mission agencies more interested in people than money. To explore options uniquely suited for you at this event or online register at . She’s right. It’s *full* of searchable news. Thanks Judy! Saturday 9am – 1pm (coffee from 8:30 am) Feb 9th at Naperville Evangelical Covenant Church or Feb 16th at Wheaton College, Armerding Hall. The seminars are presented by Global Opportunities. http://www.waymakers.org . Cost is $2.00 each, with significant quantity discounts.